We have recordings behind our house on Plank Road. At first someone says get behind them, and then our son was with us and a child says come here baby, come here baby. The video we made would not work. When we got home, it said it was corrupt. We have never in 7 years of having this camera had it to do that. 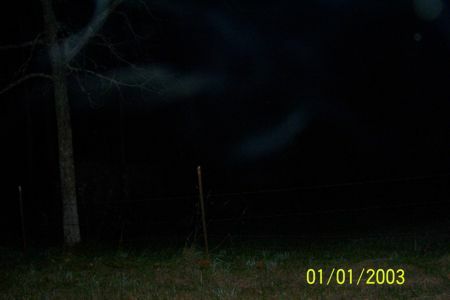 I do have a pic down the road on Plank Road of a mist with a face in the left corner with a man's face on it.